We expect the release of 2019 UTME results to begin any moment soon. 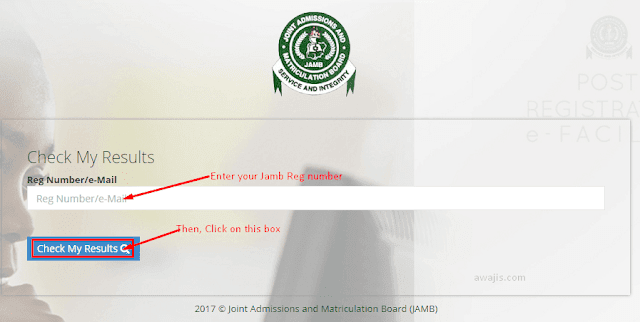 If you want to know if the 2019 JAMB Result for your day or schedule has been released, this is the right thread to check. The 2019 UTME results for each day of the exam should be available 2 to 3 days after the exams have been taken as it was last year. When you see "No Results Yet", it means the results for that day have not yet been released and have not been confirmed by any candidate. But when you see "Results are Out", it means the results have been released by JAMB and it has been confirmed by several candidates. But don't forget that JAMB may also be releasing the results of a particular day in batches or after Malpractice Investigation is completed for particular centres. We will be updating the above STATUS based on official announcement from JAMB or verified via candidates comments. So please, feel free to let us know if your result has been released by JAMB, and WHAT DAY YOU WROTE, so we can update the status above. All candidates are advised to check the comment section of this thread regularly to know when their results have been released. release these results na abeg. 1-Father,it is not by power or by might,let your mercy just locate me. 3-Grace to be confident during post utme. 4-Grace to be wise if we should change course or not. chika: is it out yet ? Joanna: No need to hurry about the result,keep calm and cool,God is our strenght,jamb is still correcting and crosschecking issues,allow them to take their time,its for our best. who else noticed the changes in the examination total numbers? Who knows how unizik calculates their aggregate. I need the breakdown please. toshiba177: My dear please eat ooo.